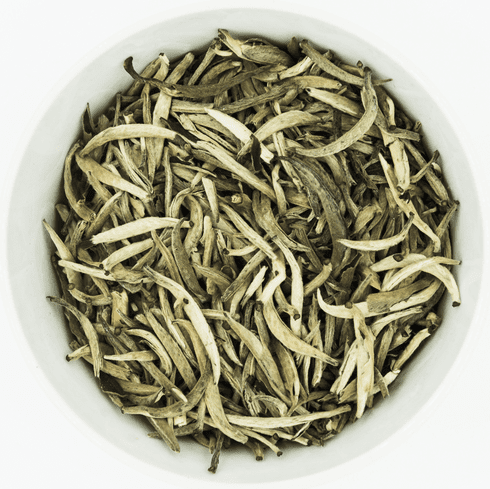 Ten Ren's Organic Superfine White Tea is also known as Organic White Down Silver Needles. This rare tea consists of only singular young tender buds picked in Spring before they open. The reason for the name is the prominence of the delicate white hairs on the buds. The USDA has certified that this tea has been grown with organic farming methods with no chemical pesticides used in cultivation. Tea brewed from these buds have a pale yellow hue with a lightly sweet scent. Its taste is pure with a clean mellow sweetness with a delicately fresh aftertaste.